Imagine for a moment the amount of revenue stores could generate if their parking lots were also fueling stations. Customers pull in, hook up, and let their vehicles fuel up while they browse books or buy groceries. When they leave they load up their purchases, disconnect the fuel line, and drive off. That scenario seems odd in a world dominated by the internal combustion engine, but with electric vehicles and plug-in hybrids becoming more and more popular it’s possible that every parking lot could have pay-to-plug charging stations. If, that is, businesses want the profits that come with such installations. For Bay area businesses who want to expand the services they offer their clients commercial EV charging stations are a great idea. They’re convenient for drivers who want to be able to charge their cars on the go, and if there aren’t any other charging stations around it’s likely to make your business one of the favored stopping spots for plug-in drivers. This means that while drivers are waiting for their vehicles to charge up that they’ll browse what’s for sale, or stop and get a bite to eat. This is where WCI Electric steps in. As a company we employ some of the finest commercial electrical experts, and we offer a variety of services to help our clients get exactly what they want. 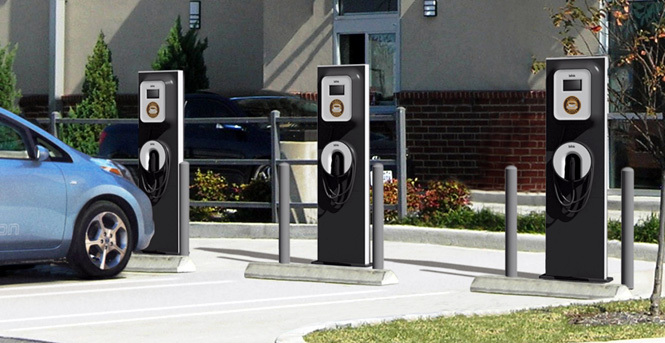 While commercial EV charging stations are still in their infancy we have knowledgeable experts ready, willing, and able to make them a reality for you and your customers. If you want to give people the chance to charge up while they’re inside checking out your wares (and really, why wouldn’t you?) then contact us today and see what we can do for your bottom line.